Feminine fashion accessories not only refers to jewelry, sunglasses, bags, or scarves but to nail polish as well! Nail polish is a varnish applied to fingernails and toenails to add style and a touch of femininity to everyone who wears it. The polish helps make nails more beautiful and attractive, and also strengthens the nails. Some people, though, refer to nail polish as nail lacquer, among other names. 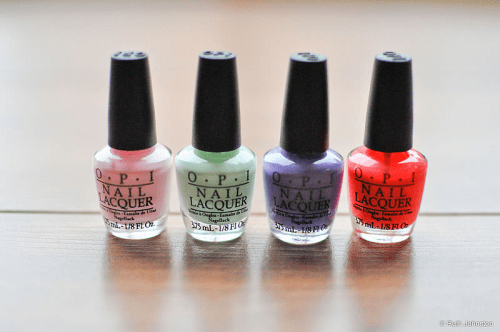 In this article we’ll see if there really is a difference between nail polish and nail lacquer. The beginnings of nail polish date back to 3000 BC in China. During the Ming Dynasty, nail polish was made by mixing egg whites, beeswax, vegetable dyes, gelatin, and gum arabic. Nail polish comes in different colors and provides a shiny, protective, and fashionable cover to fingernails and toenails. Nail lacquer is derived from the French word lacre meaning “a kind of sealing wax.” It is a type of nail polish or varnish, which quickly dries off when applied on the nails. Nail lacquer provides a trendy look and adds shimmer to the nails. There is actually no difference between nail polish and nail lacquer. They are just differentiated by the terms used by different manufacturers or companies and how these companies market their brands. Nail polish or nail lacquer are made of nitrocellulose that is dissolved in a solvent such as butyl acetate or ethyl acetate. This nitrocellulose acts like a thin film on the nails after it dries, providing a protective layer or cover to the nails. There are also other ingredients such as resins or plasticizers that are added to the nitrocellulose to make the polish or lacquer resistant to soap and water. Furthermore, various colors or pigments are added to the mix to create different attractive shades. There are misconceptions on nail lacquer being thicker in consistency, as well as harder and more chip-resistant, than nail polish. Actually, nail polish and nail lacquer are the same in terms of strengthening the nails and providing a protective layer. Both types of varnish leave a shiny, glossy finish on the nails. 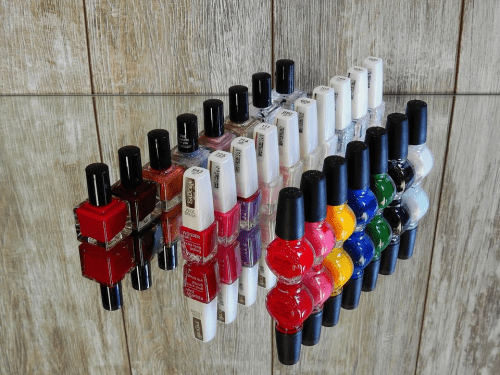 Nail polish and nail lacquer come in different colors and mixed shades and are applied either as a single color or mixed colors and with varying designs.